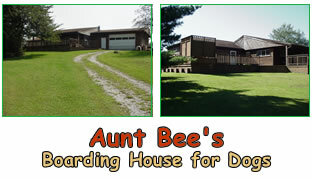 Set on six and a half quiet wooded acres in Crete Township Il, Aunt Bee’s offers the perfect alternative to leaving your best friend in a noisy and impersonal kennel. 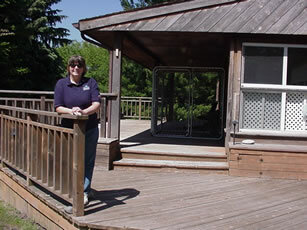 Our Canine guests receive safe 24 hour care in a homelike setting. and exercise walks on our own wooded and rural-like trail system. Our guests are not stuck in a cage or kennel all day. When not enjoying the house or yard, our guests relax in airy, sunlit spaces designed just for them. our guests receive plenty of personal attention from our caring attendants. Activities and daily routine are personalized to meet the needs of every guest. 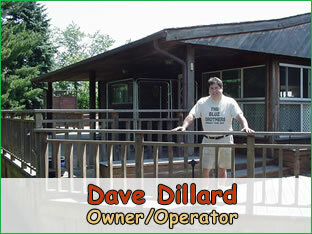 Special Needs and Elder Dogs are welcome, as are Long Term Stays. Home pick-up and drop-off transportation is available. Appointments to visit our facility are welcome. It is our goal that each of our guests feel at home away from home. Because they are at home. When you leave your Dog with Aunt Bee’s, it like leaving your Dog with family. Copyright © 2007. Aunt Bee's Boarding House. All rights reserved.